In 1996 the AATSEEL Executive Council and Program Committee expanded the system of anonymous peer review of abstracts for the annual meeting to all divisions. In 2002 the Program Committee revised the guidelines for preparing abstracts; the revised guidelines are presented below. Part I explains obligatory formatting guidelines and word limits for all abstracts. Part II provides further information for abstract authors, especially those for whom the proposal of a paper to AATSEEL may be the first experience with peer review of abstracts. The guidelines in Part II should be considered suggestions, not rules. Abstracts should be no more than approximately 300 words, including text and bibliography. The Program Committee no longer permits the use of footnotes. Please make any necessary references parenthetically through a bibliography. Please follow discipline appropriate guidelines in preparing bibliographies. For example, the citation in the text might be (Ivanov), (Ivanov 1996), or (Ivanov 1996: 53–54) and the bibliography would have the full citation. Data, examples and text in non-Slavic and non-Western languages should be glossed. The abstract text should not contain first-person references to its author(s). The Program Committee will return abstracts that exceed the word limits or contain footnotes to authors for resubmission. Resubmitted abstracts must be received by the deadline (15 April or 1 August ) if they are to be reviewed in that round. Electronic submission via e-mail is strongly encouraged. Abstract texts can be sent as email attachments, preferably as Microsoft Word documents. When sending an abstract as an attachment, the author should name the file with last name and first initial (i.e., ivanov_i.doc). Fax is discouraged because of poor legibility, particularly when forwarded onto referees. If you submit an abstract by post or fax, please use courier or another monospaced font, so that printed abstracts can be scanned. If submitting an abstract as plain text in the body of an e-mail, employ a clear transliteration system for Cyrillic or diacritical marks, and indicate it explicitly with the abstract. Receipt of e-mail submissions will be acknowledged within seven days of receipt. If you submit your abstract in other ways and would like an acknowledgement of receipt, please provide your e-mail address or enclose a self-addressed stamped envelope. If you do not receive acknowledgement of receipt from a member of the Program Committee within seven days of submission, please contact the Program Committee member to whom you sent the abstract to confirm that your abstract was received. Organized "Whole" Panels, Refereeing and Revision. Panel chairs or organizers are encouraged to shape their own complete panels and to submit paper proposals with abstracts from all authors on the panel as a group. In that case, the Program Committee will submit the set of abstracts to double-blind peer reviewers as a unit. Referees will consider each abstract on its own merits within the context of the intended panel. Submission of a paper proposal to a panel chair alone does NOT constitute submission to the conference; the abstract author should verify whether the panel organizer/chair intends to submit abstracts as a group to the appropriate Division Head. If the organizer/chair is not submitting the abstracts as a group, the author should submit the abstract directly to the appropriate division head and indicate the name of the proposed panel. 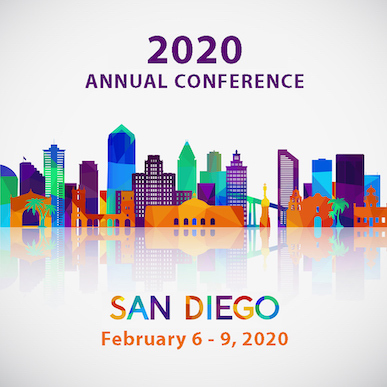 Authors or panel organizers must submit abstracts by the deadline to the appropriate Program Committee contact person for peer review in order to be included in the conference. Please note that the 15 April deadline allows for resubmission by 1 August of abstracts rated “revise and resubmit.” The 1 August deadline does not allow for that option: during that second round, reviewers are instructed to rate abstracts either “accept” or “reject,” with no possibility for revision and resubmission. You may revise an abstract rated “accept” in either round, in order to take reviewers’ comments into account or to make corrections. For the revised version to be published on the AATSEEL web site and in the program book, you must submit the revised abstract to the appropriate Program Committee contact person by 10 September. The revisions may not be so major as to alter the focus of the abstract that passed review. All accepted abstracts included in the conference will be published in the program book and on the AATSEEL web site. The goal of the review process is not to adjudicate a competition for a limited number of slots, but, rather, to ensure that all papers presented meet minimum professional standards and reflect careful preparation in advance. The peer review is intended to be as objective and inclusive as possible. Division heads, who are responsible for review procedures, will try to achieve the widest possible representation of the membership with respect to disciplinary subdivision, school of thought or type of approach, seniority, geography, and type of institution or affiliation. The review process will be applied uniformly to all prospective conference participants. An abstract should briefly present a hypothesis and outline the author’s plan for defending that hypothesis. An ideal abstract, like a good paper, should identify a problem (linguistic, pedagogical, literary, historical, or cultural) that needs solving or present a hypothesis that sheds light on the interpretation of a text or body of texts. (A text need not be strictly “literary” and could be, for example, a work in film, television, painting, music, or other arts and media.) A paper may identify a new problem and propose a solution, or may identify a complete or partial solution to an existing problem. Alternatively, a paper might indicate that a generally held view has unrecognized shortcomings, without necessarily proposing a comprehensive analysis to replace the received wisdom. Some papers, especially in pedagogy, may provide critical descriptions and analyses of existing, innovative, or proposed methods and materials used in teaching language, literature, or culture. Papers in literature may propose a new analysis of a text, offer a new application of an established critical theory or theories of textual analysis or interpretation, or present a new theory of textual interpretation. Papers in culture may include analyses of texts in a variety of “high” and popular arts and media or broader historical, societal, or cultural studies. Abstracts on interdisciplinary topics are welcome. If your proposed paper makes use of a particular methodology or theoretical framework, it is important to state this clearly; a reference as brief as “relying on approach X,” “applying the principles of Y,” “analyzing the problem within a Z framework,” or “I am approaching the problem from the point of view of A and B’s theory of Q” is sufficient. Naturally, the further your work has progressed, the better your abstract is likely to be. Ideally, you will summarize work that is already completed, but this is not required, or even expected. More likely, you will have the outline of your analysis in mind, but will not have worked out all the details; this is also legitimate. However, if you have merely identified a problem you would like to examine when you get a chance, on which you have not yet conducted any research, it will be difficult to represent it convincingly. The Program Committee will be given the authority to reject largely hypothetical papers. Maintained by William J. Comer, wjcomer@ku.edu.